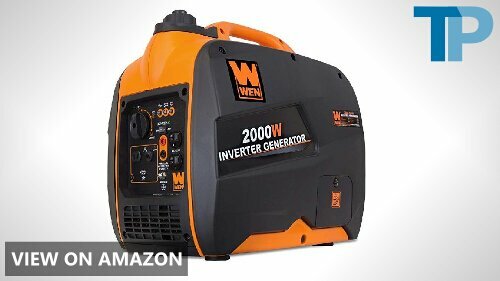 What Is a Portable Inverter Generator? What Other Benefits Do Inverter Generators Offer? What Are Starting and Running Watts? Should I Get an Inverter Generator With an Electric-Start Mechanism? Is It Safe to Use an Extension Cord? Is It Possible to Overload an Inverter Generator? What Do I Need to Know About Adding Oil? How Loud Are Portable Inverter Generators? No one should be without an inverter generator. 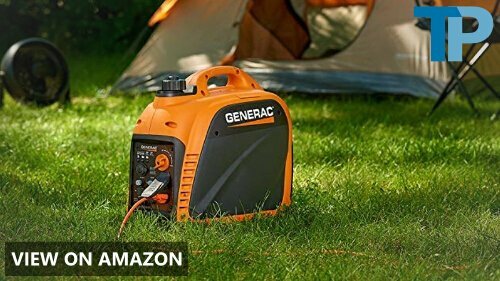 Whether there’s a power outage in your neighborhood or you’re gearing up for a camping trip, a portable generator with an inverter is something you can’t live without. Inverter generators offer clean, on-demand electricity that can power a multitude of appliances and electronics, so you’ll always be prepared for life’s adventures. Portable generators that don’t have an inverter create power in the form of DC, or direct current, which means you can safely hook them up to an array of appliances. In comparison to inverter generators, conventional generators generally over a higher power output, and they can be used for a longer period. While portable generators with an inverter also create DC power, they take it and turn it into AC, or alternating current. The advantage of transforming DC to AC is how the current meshes with electronics. Since AC power is smoother, it meshes better with electronic equipment like smartphones and laptops that have sensitive microprocessors. 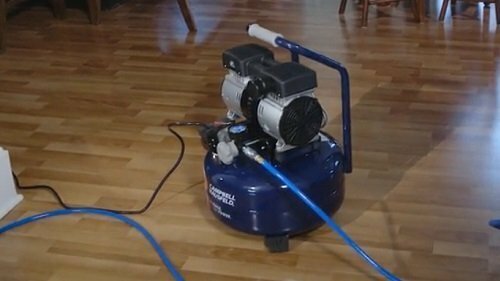 There are other advantages to using a portable inverter generator in addition to a cleaner electricity supply. Many of them are compact and lightweight without sacrificing power output. It’s common to find inverter generators that weigh fewer than 50 pounds, which negate the need for a transport dolly. Although the size of a typical inverter generator means that it has a smaller fuel capacity than a standard generator, its engine uses gas more efficiently. This leads to long-term cost savings and fewer exhaust emissions. Some inverter generators allow you to combine them with other like-models, so you can greatly increase the power output. This is called a parallel operation, and it’s not an option with standard generators. To take advantage of this feature, you’ll need a dedicated parallel cord. 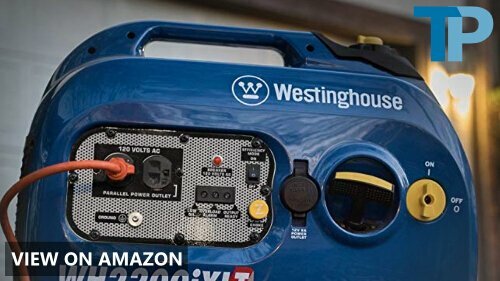 When you read the specs of a portable inverter generator, you’ll see two wattage ratings listed. One is starting, or peak, watts, and the other is running watts. 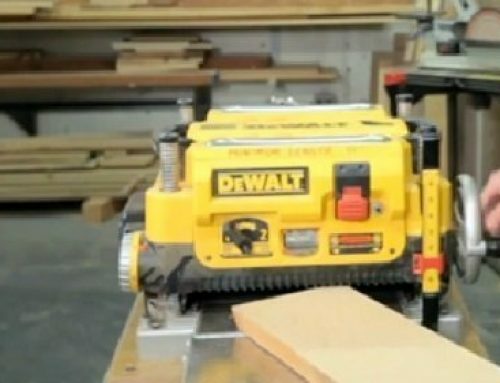 As the term suggests, starting watts is the wattage draw the generator uses upon startup, and running watts is the wattage draw it uses when in use. The starting watts are always higher than the running watts. An electric-start mechanism makes it much easier to turn on an inverter generator. Instead of pulling a cord, you simply push a button. Both startup choices work reliably in cold and inclement weather. The only caveat to an electric start is if the inverter generator’s battery isn’t charged enough. There are no safety concerns with using an extension cord as long as the cord is in good shape without any wear or frays. However, the length of the extension cord may cause a voltage drop. For example, there could be up to a 6-volt decrease with an inverter generator when coupled with a 10-meter extension cord, and that voltage drop could more than triple with an extension cord three times as long. You bet it is. Of course, the possibility is slim in newer inverter generators thanks to the inclusion of a built-in circuit breaker. When a generator is overloaded, the breaker trips, or halts, the flow of electricity, preventing the generator from overheating and catching on fire. If the circuit breaker trips, it only takes a few minutes to get the inverter generator running again. Be sure to lighten the generator’s load first. Over time with heat exposure, the oil in a generator’s engine becomes old and ineffective. Neglecting to perform regular oil changes can lead to a premature failure of the engine and other essential components. If you don’t put in enough oil, the engine will probably lock up. Inverter generators with a low-oil indicator and shutoff switch will alert you when the oil level is inadequate, and then the generator will turn itself off. However, you shouldn’t fully depend on this fail-safe mechanism. On the other hand, overpouring the oil may lead to degraded engine performance and an abundance of the exhaust. Inverter generators have one purpose – to create power. Along with power comes noise. 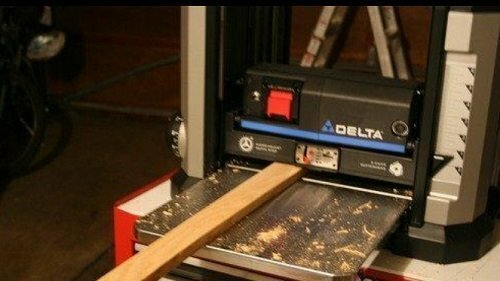 The exact level of noise depends on several factors, including the speed of the engine and the distance between you and the inverter generator. Most generators with an inverter are quieter than conventional generators, and they can climb up to 85 decibels of sound. 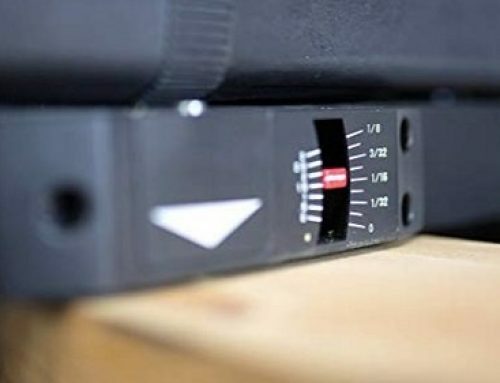 Some models make less noise, and situating the inverter generator further from your house or campsite can reduce the sound level. There is a multitude of portable inverter generators from which to choose. Sifting through the choices is a time-consuming task. To make comparison shopping easier, we plucked these five inverter generators from a long list of top-selling models, selecting those that are user-friendly and reliable. Quiet and capable. 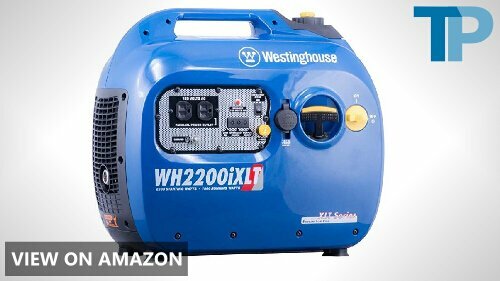 The Westinghouse WH2200iXLT Digital Inverter Generator features a gas-powered 3-horsepower OVH engine that only produces 52 decibels of sound despite its peak output of 2,200 watts, which can be doubled if paralleled. The 1.3-gallon tank provides electricity for up to 13 hours via two AC outlets and one DC outlet. The 43-pound inverter generator’s pull-start switch is a breeze to operate, and an auto-off mechanism engages if the oil level dips too low. 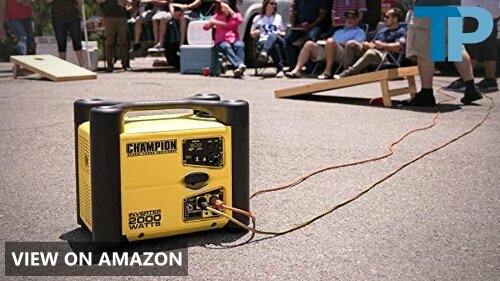 Champion lets you save space and generate more power with its cube-style, parallel-ready portable inverter generator. 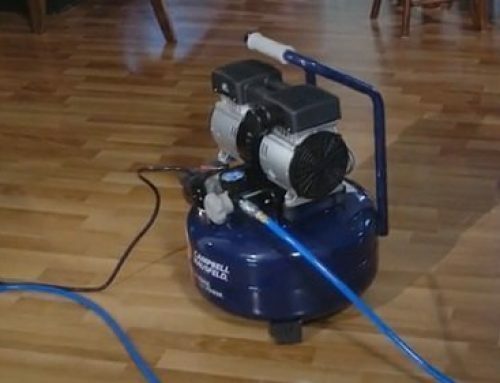 The 1-gallon gas tank is constructed from durable steel, and it can power the generator for 9.5 hours, boasting 1,700 running watts and 2,000 starting watts. In Smart Economy Mode, this Champion model runs longer and quieter at 53 decibels, and there is plenty of outlets for your small appliances, including two 120-volt outlets and one 12-volt DC outlet. Get the electricity flowing fast with the 7117 inverter generator by Generac. This 47-pound power generator boasts a user-friendly choke knob for ultra-quick startup and Truepower technology that provides clean electricity for expensive electronics. Its 1.2-gallon tank keeps the electricity going for 10.75 hours with a peak wattage of 2,200. You can increase the 1,700-watt running load by pairing the 7117 with another unit via a parallel cord to double the number of AC, DC and USB outlets. 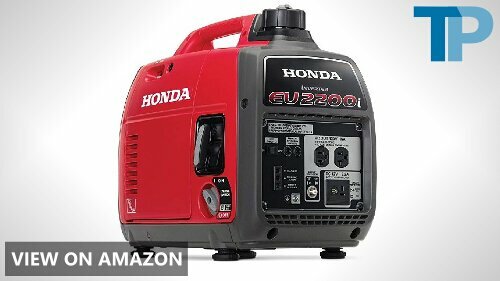 A powerful 4-stroke OHV engine puts out 1,600 running watt and 2,000 surge watts, allowing you to make use of the pair of 120-volt outlets, the single 12-volt outlet, and the one USB port. Eco Mode pushes the 1-gallon tank’s efficiency to 6 hours per fill-up and 51 decibels of sound. 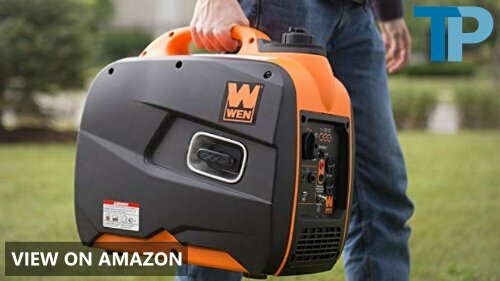 The WEN 56200i Portable inverter generator has a parallel outlet and a choke-start knob with an easy-to-use pull cord. 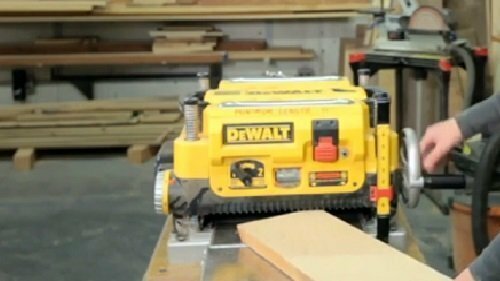 Plus, it’s easy to tote the 48-pound generator thanks to its raised carrying handle. 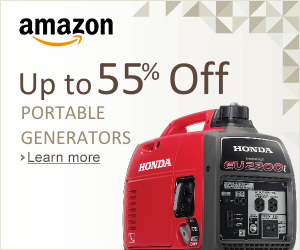 Never worry about hearing damage with this Honda portable inverter generator. 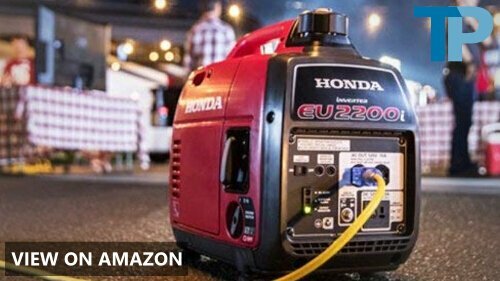 Producing just 48 decibels, the Honda EU2200i Portable Generator is as quiet as they come. It’s also lightweight at 46.5 pounds, yet powerful with a 121cc commercial-grade engine. The automatic mechanical decompressor requires minimal force for the generators recoil startup, and the Eco-Throttle switch makes the most of the gas in the 0.95-gallon tank. Although 2,200 surge watts is a lot for a portable unit, you can parallel it with two other inverter generators to triple the output. Picking a portable inverter generator is tricky business – There are simply too many models from which to choose, and each of them offers a unique set of features. Here are the four most important categories of features to review before you plunk down your money on one of these backup power sources. The main reason to purchase a portable inverter generator is to have a source of power you can transport. 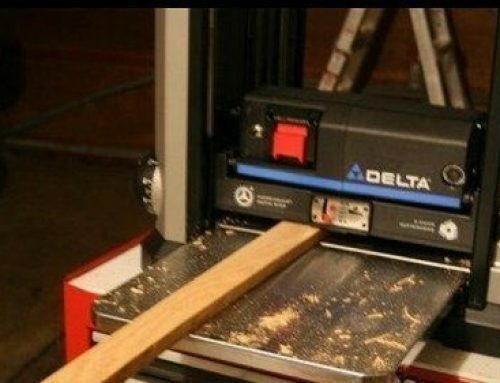 Therefore, the model you select should be lightweight. For a generator, lightweight means 50 pounds give or take. 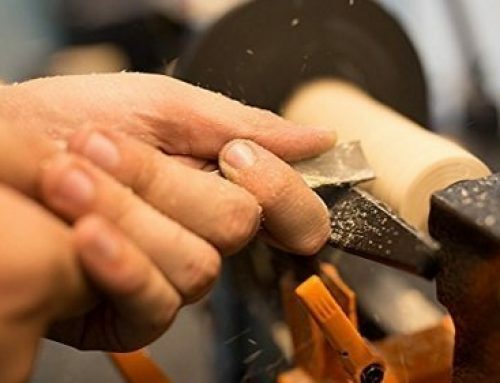 It should also offer a firm place to grip with one hand. Some portable units have a carrying handle on the top while others are equipped with a surrounding frame. If the inverter generator can be paralleled, framed units allow you to stack each generator, which saves space. Manufacturers provide ways to either increase or decrease an inverter generator’s output. Generators that can be paralleled work in conjunction with the same type of inverter generator to produce twice the power output. Alternatively, an eco function reduces the engine’s RPMs to lower the generator’s gas consumption, providing a quiet, fuel-efficient experience. Also, pay attention to the size of the gas tank. The higher the capacity, the longer the runtime. 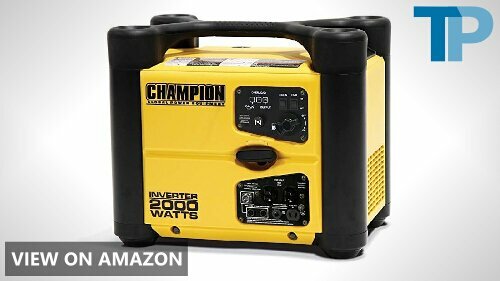 Ideally, you’ll want a portable inverter generator that can keep chugging along through the night. Of course, you’ll want the ability to power up a variety of appliances and electronics. Virtually every generator with an inverter comes with at least one DC outlet and one or two AC receptacles. There are also some models that offer a USB port for smartphone and tablet charging. Older generators carried a real fire risk, but today’s inverter generators are chock full of safety features. 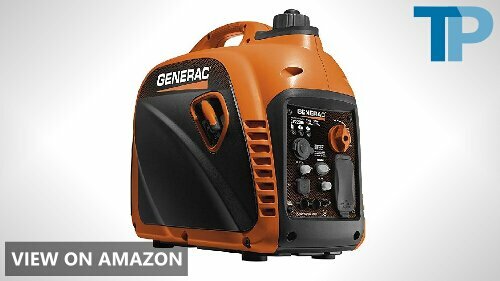 Make certain that any portable generator with an inverter contains an auto-shutoff mechanism that kicks if the unit gets too hot or loses too much oil. 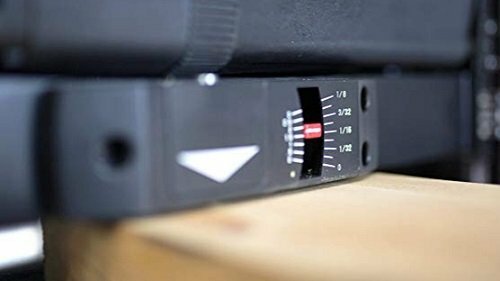 Preventing the damage that stems from overheating and low oil levels is easier if the inverter generator is equipped with indicator lights and alarms that alert you to these problems. 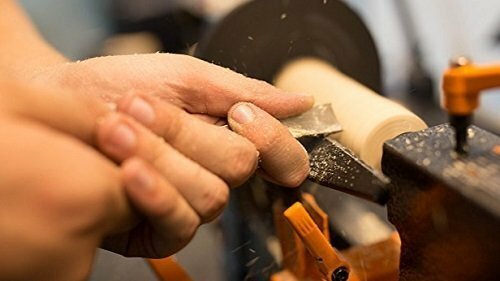 Besides, the unit you choose should meet environmental impact requirements set forth by the Environmental Protection Agency and the California Air Resources Board.